University Of Hertfordshire Press, 9781907396656, 304pp. 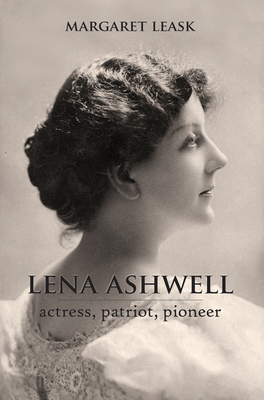 Skillfully written and complemented with photos, this biography is the first to honor British actress-manager Lena Ashwell. In a rapidly changing world, Ashwell was crucial to the advancement of women in English theater and in the formation of the National Theater. The book highlights the inspiring woman’s other valuable accomplishments as well, including her efforts to raise money during World War I for thousands of concert-party troop entertainments and regular theater performances she established throughout local London communities. From her first appearance on stage in 1891 to the end of her life, this is Lena Ashwell’s story. Margaret Leask is a freelance researcher and theater historian as well as a former arts administrator in Australia and England. As an oral historian, she has recorded and archived interviews for the National Film and Sound Archive, the National Institute of Dramatic Art, and the Sydney Theater Company.